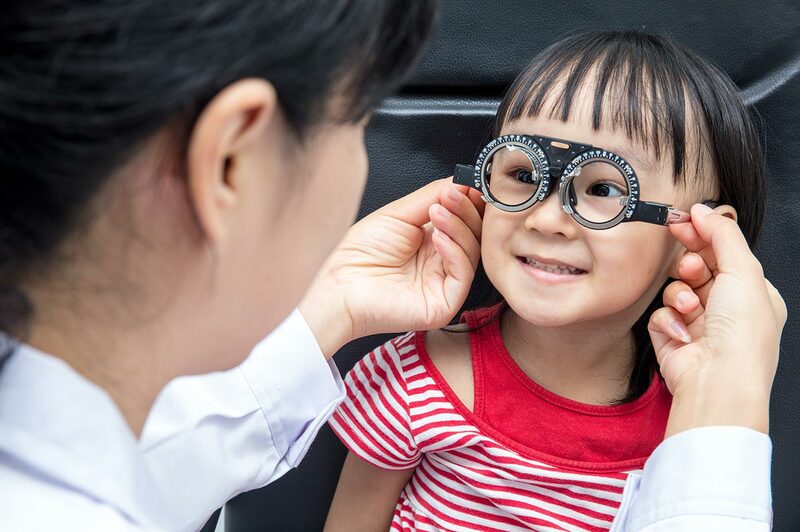 AAPOS is offering a basic screening kit to assist anyone who screens vision, including school nurses, Lions Club members, Head Start, and medical personnel working in pediatrics and family medicine. Spiral-bound, multisided, distance visual acuity eye charts that can be hung on a wall or held in the hands. 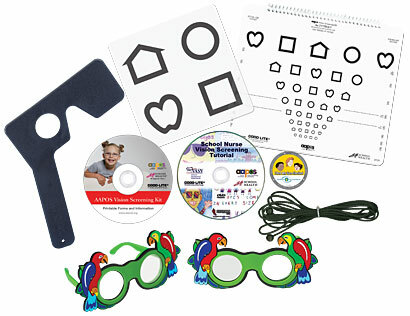 Children's Fun Frames Occluder Glasses for children under age 10 years who will not tolerate patches. 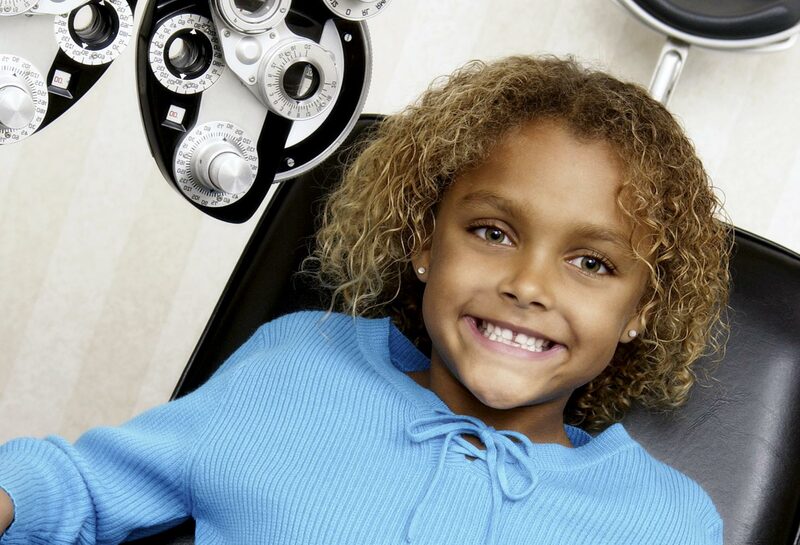 10-foot cord for measuring screening distance between chart and child's or adult's eyes. Translucent Response Panel for matching. Instructions printed on one of the eye chart cards. 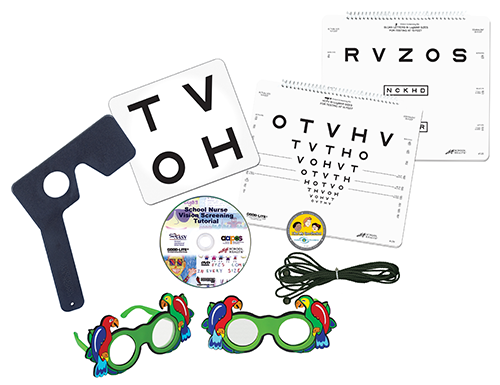 School Nurse Vision Screening Tutorial DVD created by Kathy Lee, MD, PhD, for the American Academy of Ophthalmology's Leadership Development Project, which rolled out at NASN in 2010 and now includes a Spanish version. 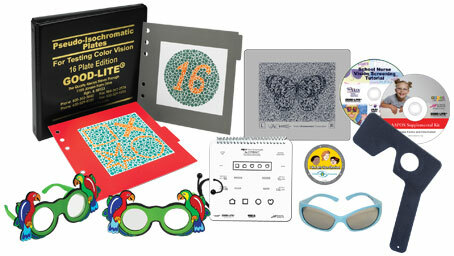 DVD with Vision Screening Results Reporting Form to copy and distribute to individuals undergoing screening. The kit can be purchased through Good-Lite. A 10% discount is available for orders of 5 or more kits. For this special offer, please email orders@good-lite.com. 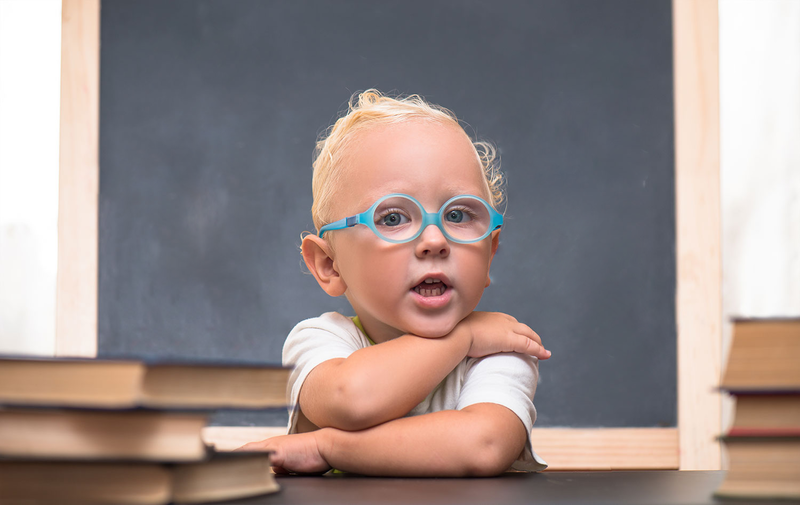 Information included on Reporting Form describes the importance of a follow-up eye exam to copy and distribute to parents/guardians when their children do not pass vision screening or are untestable on multiple rescreens. The kit can be purchased through Good-Lite.